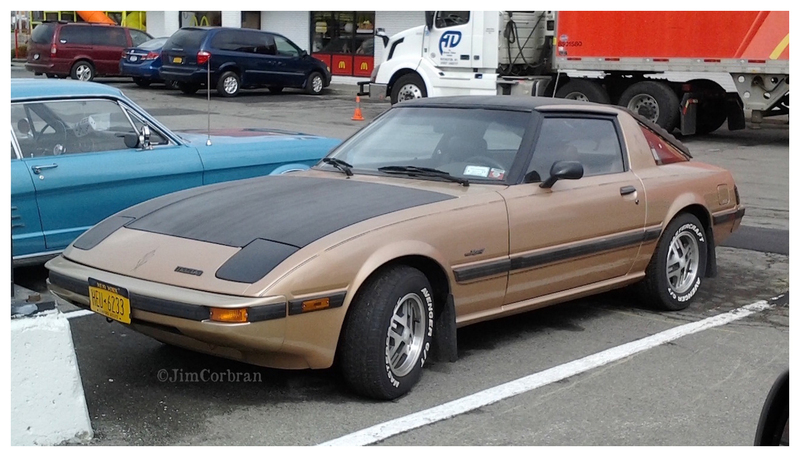 This 1988 Mazda RX-7 is from the Hiroshima manufacturer’s Wankel Rotary Engine period. There was a time when the Wankel was thought to be the next big thing — very compact and lower weight. They have no pistons, but instead use a triangular-shaped rotor which spins inside a epitrochoid-shaped housing where intake, compression, ignition, and exhaust all take place. Unfortunately, there were a number of wear problems associated with the rotor and its housing; and they weren’t great on gas, which was not a good thing once OPEC started feeling its oats. 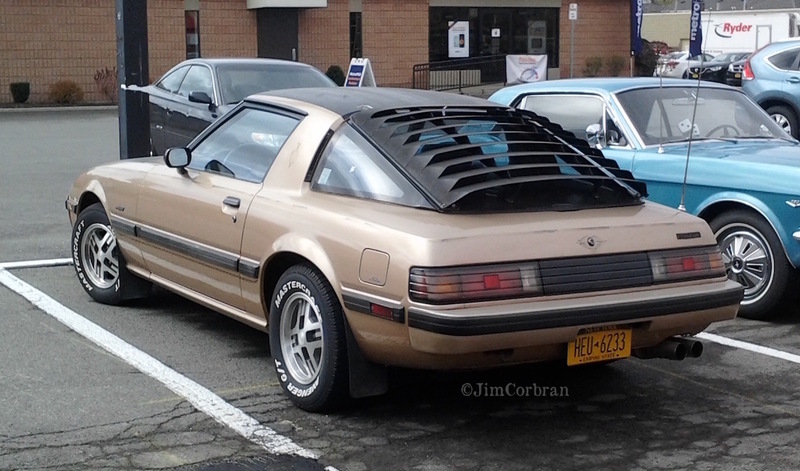 Saw this one last year in Tonawanda.